When you meet someone you’ve never met before at social or networking events, how do you connect with them? 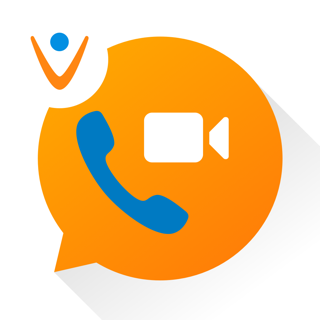 By exchanging business cards and typing their contact information into your phone? Once you download the app, start by completing your profile - it only takes a few minutes. This generates your digital card containing information that you want to share with others (see screenshot). 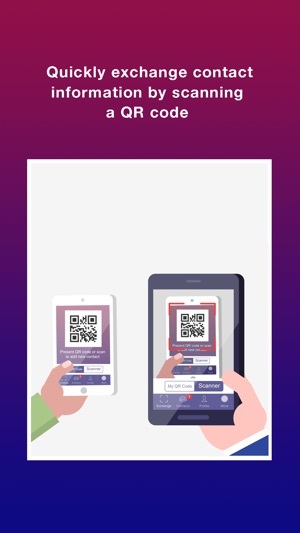 You can then exchange it with anyone through a quick scan. 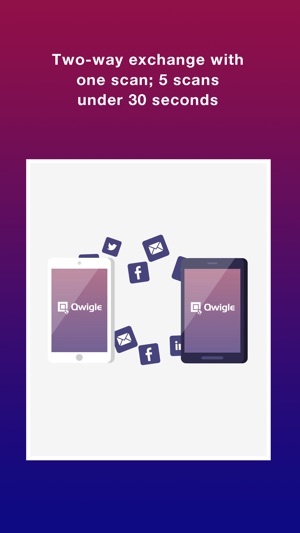 Once you’ve exchanged digital cards, you can call, email, message, add a Qwigle contact to your phone list, follow them on social media, and open their website- all by clicking icons on a single screen. No need to access multiple screens. 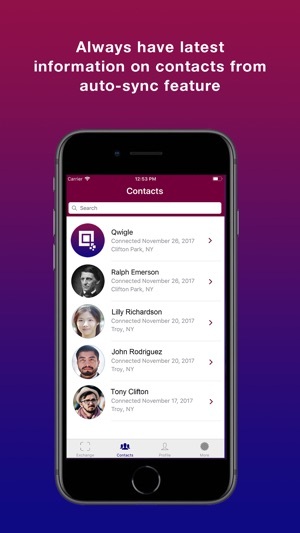 Qwigle works across platforms, which makes it ideal for networking regardless of the type of phone someone has. 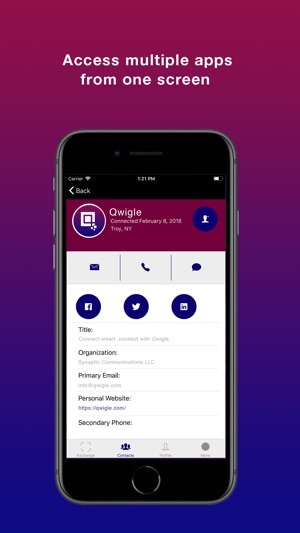 Qwigle also auto-syncs your information with all your contacts whenever you edit your profile. This means your contacts always have your latest information, and you theirs. You can stay in touch forever! All your information is backed-up and securely stored in Qwigle, which lets you retrieve it whenever you need to. No more business cards to scan and catalog. 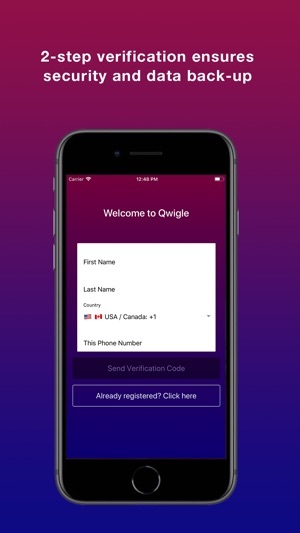 Qwigle makes sharing contact information quick, easy, and convenient. Download it now and start networking the smart way. Thanks for using Qwigle! This version fixes bugs and improves the speed and performance of the app. This is the the most efficient way to build your professional network. I really enjoy the ease of use. Thanks! Yes, we believe Qwigle is more efficient than business cards, and its paperless too. Such a great Idea but lacks the visual appeal. Has some front end issues especially issues with positioning on in iPhone X.